It’s not every day that we would post an Avril Lavigne single for your consumption. The Canadian pop star is in the midst of a comeback effort and before she drops her album this week, she decided to let the fans in on her most anticipated single in a while. There has been much fanfare surrounding the collaboration between Avril and Nicki Minaj with many hoping the song is as iconic as both the artists behind it. Finally, we can make our judgments because the song has been released globally.The majority of the track is ruled by Avril with Nicki only appearing near the end of the song. If you’re not interested in hearing a straight up pop-rock record, we suggest you skip ahead to Nicki’s part because aside from that, there’s not much hip-hop happening here (cue the comments!) The song is definitely a feel-good joint with the singer getting braggadocios in her lyrics. Don’t get her mistaken for somebody else – she’s on a mission to let everybody know that she’s not just a dumb blonde. In her assessment, she also tells listeners that she’s not a “stupid Barbie doll.” I guess Nicki let that one slide.What do you think of the new song? Rate it and have a listen. 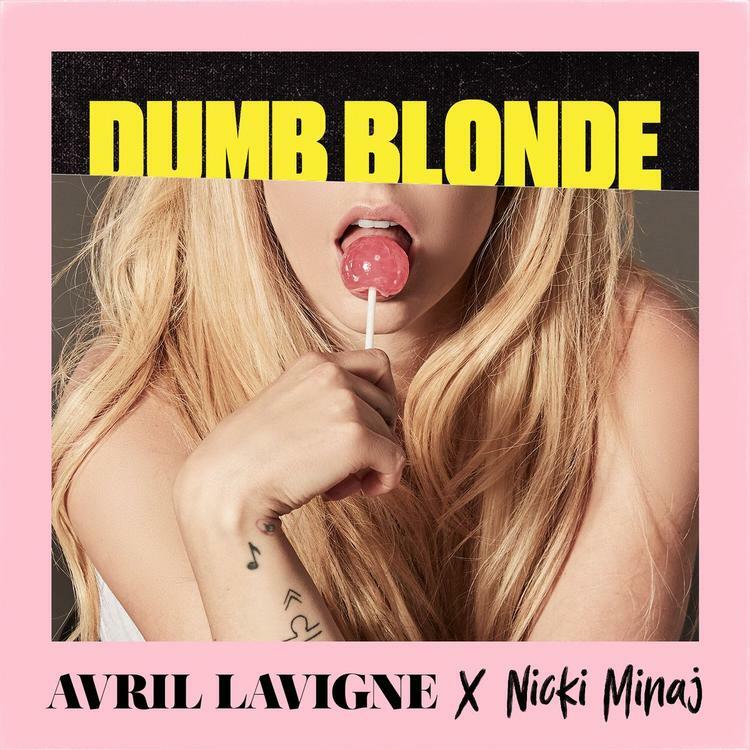 Stream Avril Lavigne – Dumb Blonde Ft. Nicki Minaj Below! !